Welcome to the new marjorieglick.com! I'm excited to present my work in a fresh new format. Here you can view my available work as well as my entire portfolio. The new site has more detailed information about my teaching and workshops plus images of past workshops. If you have ever been curious about taking a workshop with me to any of my magical locations, - Giverny, Tuscany, coastal Maine- now is your chance to see what they are like. 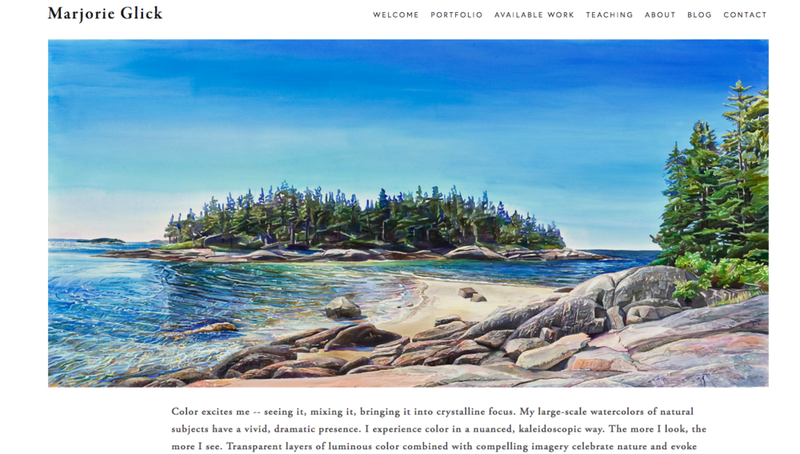 My new website was designed by my daughter, Zoe Swartz. We have enjoyed collaborating over the last few months to revamp my online presence. Be on the look out for more social media, blog posts, and newsletter over the months to come. If you need help with your own website, shoot Zoe an email at zswartz93@gmail.com. In the mean time, follow me on facebook and instagram! On behalf of myself and Zoe, we hope you enjoy the new site and looking at my work on the beautiful platform it deserves!